Data is today’s gold, representing huge potential value for businesses. By analyzing data, you can discover patterns that can help you make smarter decisions, improve products, and disrupt entire industries. Download our guide to solve the dirty data problem. Hiring on-demand is the new way of getting work done. You might be playing catch-up later if you don’t participate now. 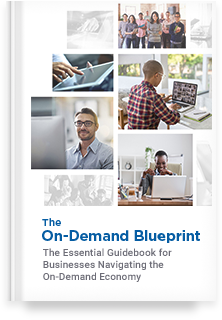 Learn how businesses are leveraging the on-demand economy as a strategic competitive advantage. Outsourcing has been a business strategy for as long as entrepreneurs have found alternatives that are less expensive than doing everything themselves. 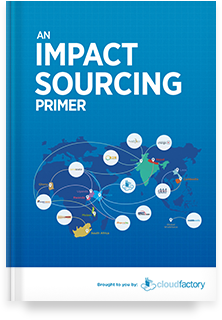 But Impact Sourcing? Well, that’s something new, download our primer to learn more.